"We will come to the ports and communicate with sailors to discover their needs. We want to strengthen the service concept. We want to be your local sailmaker.” This is the promise Mads Christensen & Sofus Pedersen make today as they open the new One Sails loft in Rungsted Harbour. Mads & Sofus, experienced former North Sails employees, are introducing OneSails Denmark to the Danish market. They opened their sail and service loft in Rungsted Harbour, on the first floor of the building where New Shipshape is located. "Our mission is to make quality sails, and therefore we have chosen to be part of the OneSails Group – one of the most exciting international sail lofts. They began in 2007 and already have a good representation across Europe and Asia. OneSails was founded by former America's Cup sailors, and former North Sails and UK Sailmakers people." "We have seen the product in action, especially when we have sailed in Southern Europe, and were immediately taken by its design. It seemed perfect for us. " "Our target audience ranges from those who sail dinghies and keelboats One-Design, to keelboats sailing both DH and ORCi where One Sails are particularly strong in the segment of keel boats up to about 50 feet." "We have a host of expertise and technology available to us, which means that we can service both racing yachts and pleasure boats. Our top product is the high-tech sailcloth 4T FORTE, a technology which means the sails have no films. Apart from North 3Di, which of course we know very well, this is the only sailcloth on the market that does not have film." "OneSails is well advanced in their technology and their attitude, and they have products we can vouch for. We are excited to be working with them. They constantly try new things in terms of materials, methods and design. They experiment to find new ways of doing things – they always want to improve and advance. We like that they think outside the box." Mads Christensen47 years old, worked as a salesman for North Sails Denmark for many years. Mads has sailed many different types of boats over the years, and has won six world championships. One of his proudest victories is winning the Danish Sailing League 2014 with Hellerup Yachtclub, where he is a member. He is also a member of the Royal Danish Yacht Club. 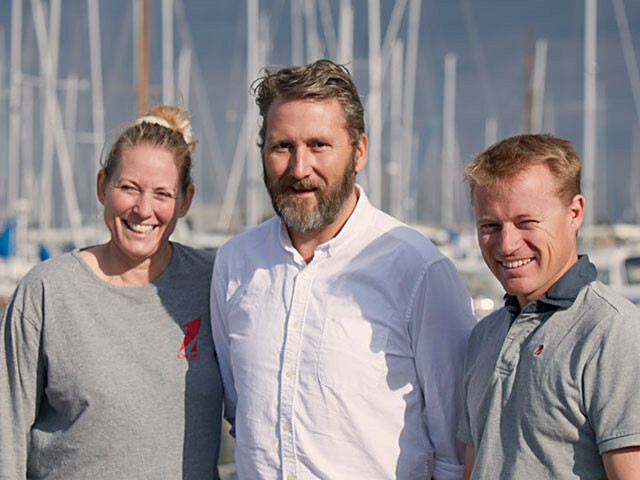 He has volunteered frequently in recent years, in particular as one of the initiators of ØRC, member of the Danish Sailing Association board and taking the initiative to start the Sailing League. Sofus Pedersen37 years old, worked as a sail designer for North Sails Denmark for many years, designing sails for Swan 60 and ORCi projects all over Europe. He learned to sail in Lynaes Yachtclub, where he is still a member. Sailed the Olympic 470 dinghy for several years in the 1990s. He sails today as a permanent crew member on one of Denmark's fastest ORCi boats, the X-37 'Hansen'. Sofus is particularly proud of winning the European Championship in the X-35 together with Michael Hestbæk, Kristian Groth and others in 2008.